Bryce has continued to see updates over the past two decades and is still a very affordable 3D terrain generation tool. With Bryce and DAZ 3D Studio, you can create mountains, skies, and oceans, and even your own 3D models or props. With hundreds of presets included to help get you started, you can also create completely original 3D landscapes and scenes. 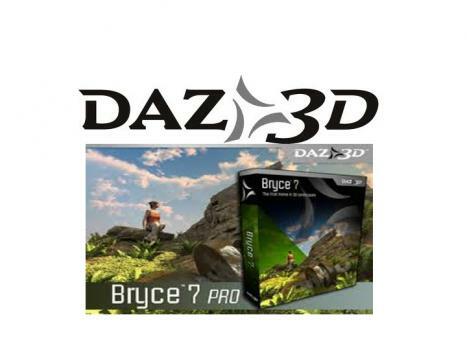 Bryce is compatible with DAZ Studio so you can import and export between the two. 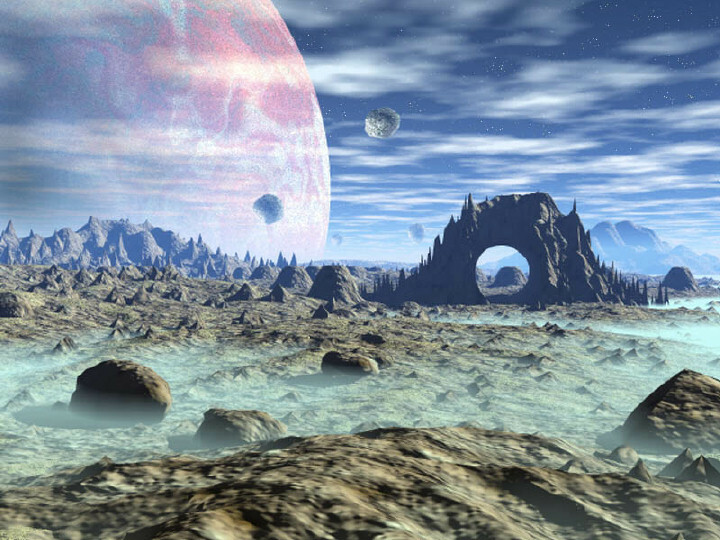 Remember that ground breaking computer program that made those awesome 3D fractal geometry environments back when most of us were still used to games and art in 2 dimensions? What began as a hot fractal geometry program back in 1994 has continued to be updated over all these years, with the newest version released in 2010. Most have forgotten all about the once popular software, but it’s become more than just a robust outdoor environment modeling program. DAZ 3D has added animation features to their software as well, while still having a beginner friendly interface and render setup. It doesn’t get much easier than Bryce for beginners, but it offers very little to advanced animators. Distant lights, true parallel lights, light domes, 3D fill lights, true ambience optimization, include & exclude lighting influence, displacement maps, and true ambience rendering. Lights from inside objects, cast shadow softness, specular maps, background depth of field, sky domes, HDRI transparency, export image options, and HDRI tone maps. Instance Lab painter manipulation options such as density, divergence angle, distribution, randomize, scale, rotation, proportion, brush editor, scale, rotation, and random seed. Both Bryce 7 and Bryce 7 Pro can import Sketch-up models (.dae format), Spore models (.dae format), and animations from DAZ Studio. Bryce 7 and Bryce 7 Pro can both also import and export COLLADA meshes, FBX meshes, 3ds Max files (.3ds), LightWave files (.lws, and import .iwo), Direct 3D files (.x), Wavefront files (.obj), and DAZ Studio 3.1 files. You can look through the complete product comparison list here. As for DAZ Studio 4, you can look through the new features here, as well as a comparison between DAZ Studio 3 and DAZ Studio 4. You can purchase any of the four Bryce 7 versions and upgrade options here, and DAZ Studio 4 can be obtained here. Be sure to first give the free trial demos a try, and also browse through the Bryce user galleries and DAZ Store where you can purchase or sell user creations! Bryce 7 is available to both Mac users and Windows users. Animators with a Mac will need at least 700 MHz (1 GHz or more recommended), OS X 10.4 or above, 512 MB RAM (1 GB or more recommended), 100 MB of free hard drive space for the minimum installation files (500 MB recommended for the full installation), a OpenGL compatible graphics card (with at least 128 MB RAM and drivers supporting OpenGL 1.1), 32-bit graphics color depth, a CD-ROM, and an Intel or Power PC processor. Also, please note that Bryce 6 won’t install properly on a UNIX partition under Mac OS X. As for Windows users, you’ll need Windows NT 4 (Service Pack 6), Windows 200, (Service Pack 2+), Windows XP, Windows Vista, or Windows 7. Please note that Bryce 7 is not compatible with Windows 2003 Server. You’ll also need at least 700 MHz (1 GHz or more recommended), 512 MB RAM minimum (1 GB recommended), and the same hard drive, graphics card, color depth, and CD requirements as listed above for Mac users. DAZ Studio 4 is available to both Mac and Windows users as well, but the system requirements are more demanding so please take a look through the entire list.